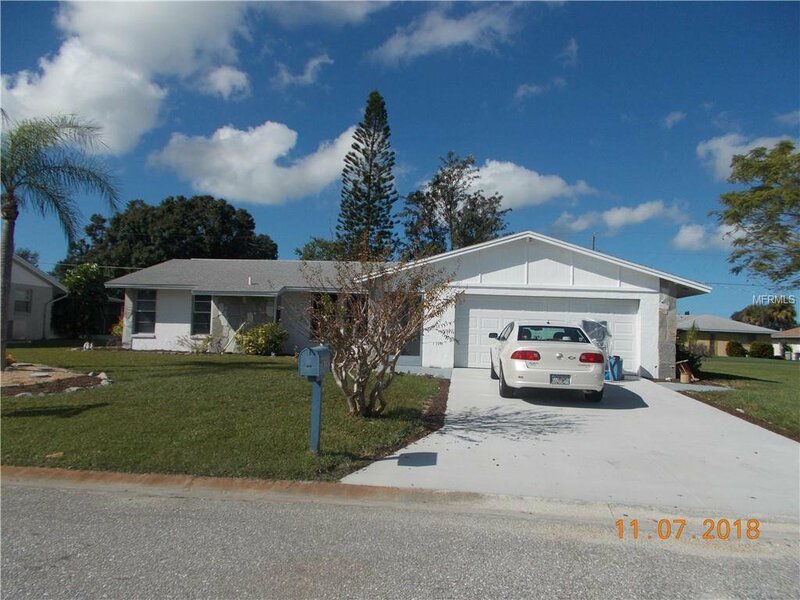 Cozy 3 bedroom 2 bath home on a very nice lot conveniently located in Venice East. This is a great home for a family. Close to schools, shopping and restaurants, a golf course and an easy drive to the beach. A well laid out kitchen open to a dining room large enough for everyone and with a pass-through to the enclosed lanai. The split plan offers privacy for the master suite as well as the 2 guest rooms. The large backyard has a nice open patio, beautiful shade trees and is partially fenced offering lots of room for family play. Bring your personal decorating ideas and make this your new home. Schedule your showing today. Listing courtesy of RE/MAX ALLIANCE GROUP. Selling Office: BERKSHIRE HATHAWAY HOMESERVICES FLORIDA REALTY.